Want to buy a new Android tablet from Verizon? 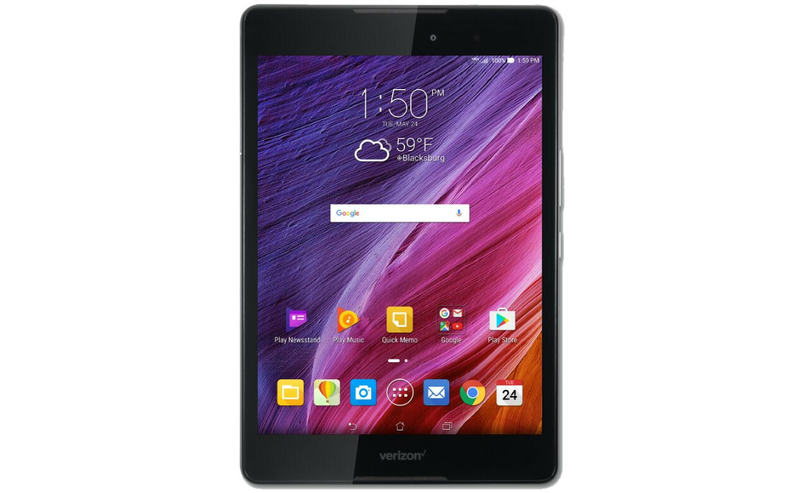 If you're not happy with the carrier's current line-up, you may want to know that Verizon is getting ready to launch a brand new slate: the Asus Zenpad Z8. The device hasn't been announced yet, but we can already take a look at it - thanks to Evan Blass (aka @evleaks), who today posted an image of the tablet on Twitter, while also revealing some of its features. The Zenpad Z8 sports an 8-inch display with 1536 x 2048 pixels - which should be almost as sharp as the screen of Apple's iPad mini 4 (7.9 inches with exactly the same pixel resolution). Powering the new tablet is a hexa-core Qualcomm Snapdragon 650 processor, which should be able to provide a mid-range performance. There's also LTE on board, plus 2 GB of RAM, and 16 GB of expandable storage space. As for the tablet's cameras, they're an 8 MP rear one, and a 1.8 MP front-facing one. Android 6.0 Marshmallow is likely what you'll get out of the box. Right now, there's no word on the price of the Asus Zenpad Z8, and neither on exactly when it's going to be released. In any case, the tablet could be officially announced early next week, on May 30, alongside Asus' new ZenFone 3 family of smartphones. I thought the 650 was hexa-core, and the 652 was octa-core? So does it support voice calling through SIM? Why... WHY the storage only 16GB in 2016?? WHY the RAM only 2GB in 2016?? Good CPU/GPU, bad RAM/storage.